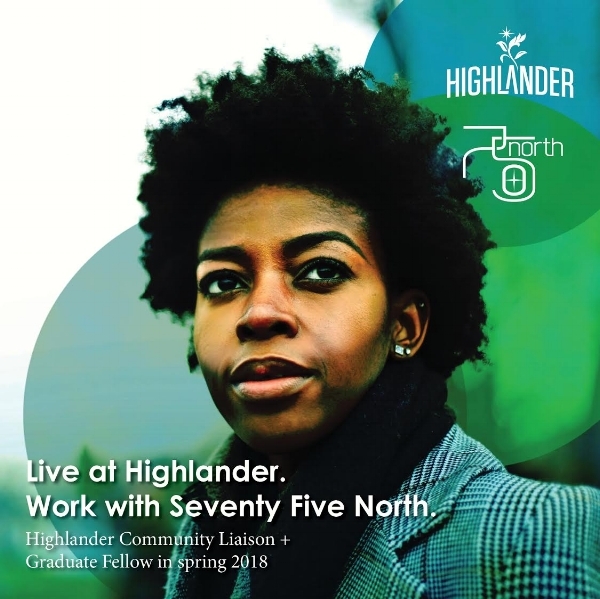 Seventy Five North Revitalization Corp. is excited to offer the combined position of Highlander Community Liaison + Graduate Fellow in spring 2018. This year-long position will spend 20 hours/week engaging Highlander residents and an additional 15-20 hours/week working as a fellow in the office of Seventy Five North. Manage a monthly monetary allowance for events, marketing materials, food/drinks, etc. The Graduate Fellowship portion will work closely with Seventy Five North staff to aid in the areas of urban planning, project management, marketing, communications and research. The position is flexible to align with the graduate program the selected fellow is enrolled into. All applicants must demonstrate a commitment to economic, racial and social justice issues. Urban Studies + Planning, Public Administration, Marketing, Communications, Project Management, Business, Social Work, Community Activism, Public Policy, and Research. The Community Liaison is compensated through a free 1-bedroom apartment in the Highlander neighborhood; utilities not included. The Graduate Fellowship additionally pays up to $15/per hour for work with Seventy Five North. Applications closed Friday, April 6.